Are you looking to find the best power rack for your home gym but are confused with the countless options available? After the barbell itself, the power rack is probably the single most important purchase you will make for your gym. Finding the right one is crucial to the enjoyment and success of your training. Fortunately, you aren’t short of options. Unfortunately, this can make it very difficult to pick make a good decision when buying your power rack. To save you a whole load of time before, and possibly after, you purchase a rack, I have created this in-depth buying guide for 2019. After reading through it, you will know exactly what needs to be considered when searching for a quality power rack as well as my recommended power racks for various situations. The fact that you have found your way to this article tells me you probably already have a pretty good idea of the reasons to buy a power rack. However, it never hurts to re-emphasise the benefits of a product before making a purchase. Some of these points may even impact your final decision. When it comes to building a home gym, this is possibly the biggest concern since you are likely to be training completely alone on some, if not all, occasions. Even inside a commercial gym, the safety provided by a power rack is much higher and more convenient than asking for a spot. There are going to be times in your training where you will want to push a little harder and test your limits, which increases the risk that things will not go as planned. If you have a decent quality power rack with all the necessary safety bars or pins, failing a lift can be very safe. Whether it is a squat or a bench press, all you need to do is lower the bar carefully on to the bars or pins to avoid getting pinned or crushed by the weight. When squatting, the pins should be set just below the level of the bar at the lowest point of your squat. If you fail a squat, all you will need to do is sit yourself down or let the bar slide off your back and on to the safety rails. In the case of a bench press, the bars should be just below the level of the bar when it touches your chest. If you fail a rep, simply removing your arch will drop your chest enough to let the bar rest on the safety pins. Of course, if you want to squat as safely as possible, a power rack, squat rack or squat stands are pretty much a necessity. However, power racks are built for much more than just squatting. Between a barbell, some plates, a bench and a power rack, you really have enough equipment to train every muscle in your body extremely effectively. Especially, if you look for a power rack with a pull-up bar. Many racks can also be fitted with several accessories like lat-pulldowns, dip bars and pegs for resistance bands. A rack bursting with accessories. A thing of beauty! You don’t really need any equipment other than those four pieces mentioned above. The power rack should be the centre-piece of any home gym or commercial gym for that matter. With all gym equipment, you should aim to buy the highest quality gear that your budget allows. I would argue that the power rack is the one place where you should certainly stretch your budget to allow for better build-quality. After all, your power rack is responsible for your safety and is going to be one of the most used pieces of equipment in your gym. The good news is that a better-quality power rack will last for a long time. You may not ever even need to replace it if you choose the right one from the start. A bonus, most gym equipment holds its’ value relatively well, if the condition is kept good. So, you shouldn’t have too much trouble selling a decent power rack if/when you are done with it. To be honest with you, I really struggled to think of any disadvantages to buying a power rack. The only real drawback I could think of is they are usually fairly big, which is going to be bad news for those without much space. Luckily, there are other great options available that will save some space. If ceiling height is a problem for you, short racks are an option. As the name suggests, a short rack is a full power rack that isn’t quite as tall as standard ones, which is perfect for lower ceiling rooms. If your issue is the total footprint and space the rack takes up in your room then half racks, wall-mounted racks or squat stands could be an option for you. Each of these is designed to take up less space while still providing the benefits and safety of a power rack. As you can see, there is a rack to suit pretty much any home gym. When deciding which type of rack to buy for your training, you need to take into account exactly what you wish to use the rack for. As an example, if you solely want to use it for squatting then a simpler squat rack or stands may be sufficient. On the other hand, if you want a rack that can be used to give you as many different options as possible, you would be better off with a full power cage that allows for the attachment of accessories. I would also suggest thinking about how often it will be used. If you are building a home gym to use as you regular gym, you want to opt for the highest quality rack that your budget allows with the most features. If you are buying a power rack to use alongside your regular gym membership, maybe on days where you can’t make it to the gym, you might be able to get away with a cheaper option. This one should go without saying; of course, you need to make sure the power rack is going to fit in the space you have available. However, there are a few space factors people tend to forget about. For instance, the space left around the rack after installation is crucial. Will you have enough height to perform pullups? 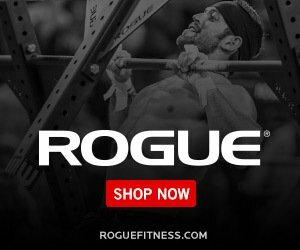 Does the cage height allow you to press a barbell overhead while standing inside it? Is their plenty of space either side of the rack to comfortably load the barbell with plates? These kinds of questions all must be considered. Only once you’ve figured out exactly how much space you have, can you decide what size power rack to get. As noted above, one of the biggest advantages to using power racks is their versatility. The more adjustability there is within your power rack, the more versatile it will be when it comes to using it. Being able to fully adjust spotter bars, J-hook heights and band pegs, for example, leads to a much more pleasant training experience. There is nothing more annoying than a bar being in a slightly awkward position for you and not being able to move it. The hole spacing on the racks is a great example of this adjustability. You set up to bench press, put the bar on one of the hooks, go to un-rack it but it is so high that you can barely get it off. So, you drop it to the next hook down only to find out this hook is so low, you are performing a half-rep just to un-rack the bar. Finding a rack with as many adjustment holes as possible means you can fine-tune the set-up to suit you. Are you hoping to perform a wide variety of exercises on your power rack? Maybe even employ the use of bands for accommodating resistance. If so, you should look out for whether your chosen rack comes with any accessories or if they can be bought separately. Things like dip bars, band pegs, cable pulleys and even jumping platforms can be attached to power racks. Even if you won’t be buying these things right away, it is always nice to now you have options for adding them to your training in the future. Just be sure to check exactly what is compatible with each power rack if you are looking to add some of these accessories. Finally, the power rack you buy must be well-priced to fit in with your total home gym budget. Well, duh! I know it seems obvious and a stupid thing to say but it can be easy to forget about the other equipment needed for your home gym. It’s no good buying an awesome power rack if you have not money left to buy a barbell to put on it. On the flip-side to that point, it is an equally bad idea to spend so much of your budget on bars, calibrated plates and accessories that you can only afford a cheap, flimsy rack. In my opinion, most of your budget should be spent on your power rack and barbell. Of course, you then just need to leave yourself enough money to purchase enough plates to train with. You can always add more equipment over time, but an excellent quality power rack and bar are crucial from day one. This is a bit of a rough guide since there is going to be a lot of variability in the percentages due to the differing amount of weights each person is going to need. However, it should give you an idea of how to prioritise your budget. The next purchase would be a good bench and then you can add other equipment as you see fit. 2” hole spacing plus 1” spacing in bench press area. Fat and skinny pull up bars. 43” working space between front and back of cage. Wide range of compatible accessories. Fast assembly (30mins to an hour). Must be bolted to the ground for stability if optional stabiliser isn’t bought. Accessories are more expensive compared to the smaller framed racks. 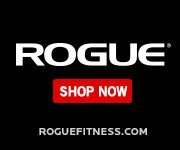 The Rogue R-4 power rack has been an insanely popular power rack for home gyms and with good reason; it provides everything you need for training, superb quality and a great price point. However, I believe the newer Rogue RML-490 is a better choice due to the added sturdiness while still being very similar in price. The one thing that lets many racks down is the stability and, thanks to the 3” x 3” steel used in the RML-490, you will be hard-pushed to find a sturdier rack at this price-point. It wouldn’t be out of place in most commercial gyms so is an excellent rack for your home gym that is rugged enough to last a lifetime of gruelling workouts. Available in shorter size for low ceilings. High capacity, especially for this price-point. Wide base for sumo stance exercises. Comes with weight storage and band pegs. Smaller 24” working area could be restrictive for some. Must be bolted to the ground to be stable. The fact that this power rack has been compared to Rogue’s popular R-3 offering, despite the lower price, is a great compliment. The only real downside, when compared to Rogue’s racks is the overall build quality. However, this is mainly aesthetic and does not draw away from the rack’s usability. It is a sturdy rack, compatible with accessories and is very reasonably priced. If you aren’t too worried about some welding imperfections or a few scratches during use, this is a great power rack. If you are on a tighter budget, you cannot go wrong with it! Retains high level of stability. No safety or spotter bars. Will need to be purchased separately. Sometimes, particularly in a garage gym, space is at a premium. Unfortunately, there just may be no way you could fit a full power cage in the space you have. Luckily, there are now some excellent options and the Rogue R3w is one of the best power racks for small spaces due to its foldable design. I was super-impressed with the fold-away technology when I first saw this rack. On top of that, I was even more impressed that the rack retained a high level of quality and durability along with it. It folds away so neatly, it really is perfect for those who don’t have much space but still want to train at home. It comes in 20.5” or 40.5” depth versions. I would only suggest the deeper one if you are planning on performing kipping pullups, muscle ups etc. inside the rack. I would recommend purchasing the pre-made stringers to help with mounting it to your wall. Footprint: Less than 5” from the wall when folded. Choice of 20.5” or 40.5” depth. Very easy to store and move around. 2” hole spacing with 1” spacing around bench press area (Westside style). Cheaper than a power cage or squat rack. No spotter or safety bars included. Must be purchased separately, if required. Very stable but obviously less-so than a full rack or cage. Stand bases may be in the way for some people when walking the bar out of the rack. Less versatile in terms of accessories and exercise selection. Sometimes, a more portable option is needed for your home gym. This is where squat stands can be of great use. For this category, I chose only independent squat stand i.e. stands that are not fixed together with any type of crossmember. The advantage to squat stands over squat racks is they can be moved and stored very easily. Of course, the disadvantage is you are more limited in terms of accessories and exercise. However, if you are just looking for somewhere to hold your bar for squats, bench presses and standing presses, squat stands are a viable option. They also tend to be much, much cheaper than squat racks or power cages. The Rogue S-4 2.0 squat stands are excellent and feel even sturdier than some squat racks I have used in the past. Super sturdy and rugged. “Monster” certainly described it. High-priced. However, it is supposed to be the premium offering and best power rack around. If you just want the very best rack with all the bells and whistles without worrying too much about a budget, this is the one. It features pretty much everything you would need from a squat rack and it looks pretty badass too. On top of the supreme durability, there are a plethora of different options and accessories from custom colours to J-cup designs. This is a serious piece of kit for a serious home gym. Height: 90 3/8", 100 3/8", or 108 3/8"
With the range of power racks available to suit all different needs, there really is no reason to settle for an inferior option. I strongly feel that the Rogue RML-490 will be suitable for the vast majority; it strikes an unbelievable balance between price and quality. I know this article has probably sounded like a bit of an advert for Rogue power racks but they really provide a wide range of options to suit your needs, with great quality and customer service to match. You cannot go wrong with any rack featured in this write-up so, just select one based on your own needs and situation.